Our range of lighting special effects offers a number of dynamic ways to inject some colour and brightness into your event. Entertainment Effects have a wide selection of dry hire products which can be shipped via courier or more complex installations. 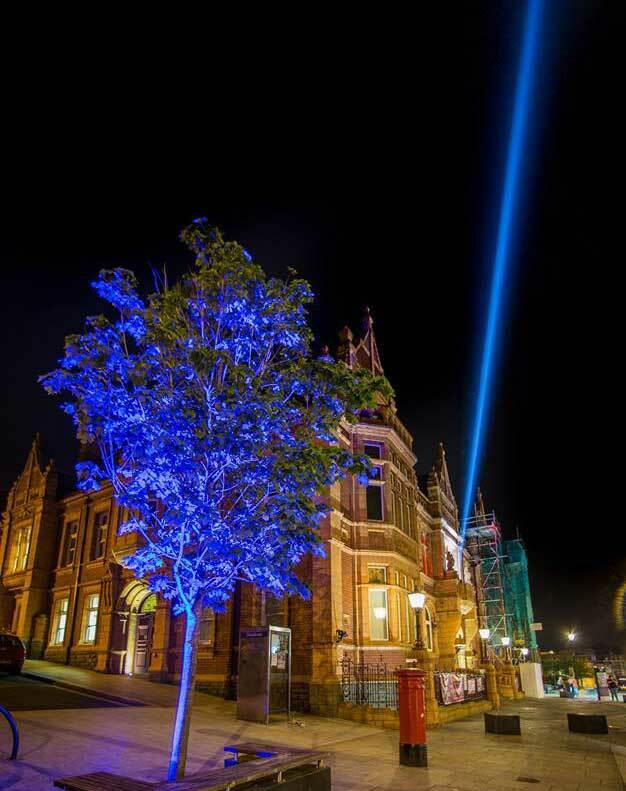 Whether you’re looking for spectacular outdoor lighting, stage lighting or event lighting our high-quality solutions are industry leading and guaranteed to impress. If you’re looking for SEARCHLIGHT then we’re still here, we’ve just changed our name, but you’ll still find all the same great products. Whatever the event, Entertainment Effects can provide the ultimate lighting effect solutions to elevate and enhance the occasion. 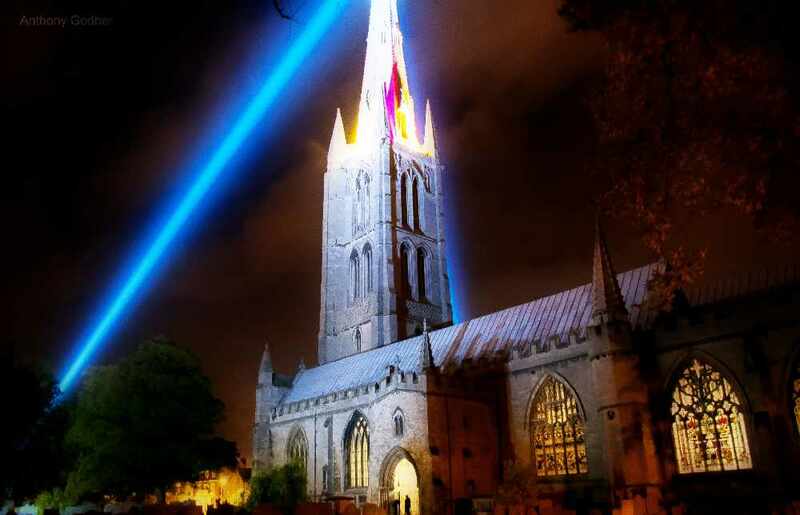 Our products are ideal for eye-catching outdoor events with searchlight hire and multibeam space flowers available to light up the sky. 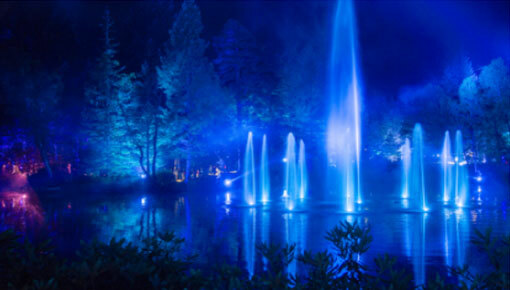 The sophisticated dancing fountains on offer combine our lighting expertise with our stunning water effect solutions to create an incredible ambience and unforgettable show. 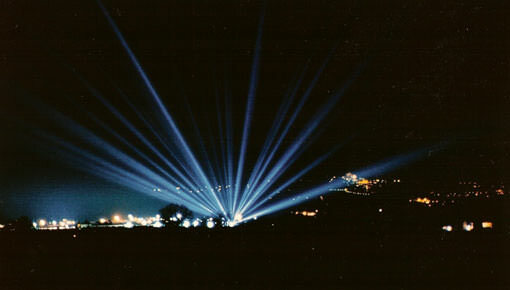 Our single beam searchlights are perfect for attracting attention to your event, and can be seen from several miles away. We have a wide range of lights offering different brightness and controllability. The range includes 2KW, 5KW & 7KW (multicolour). Prices start from £336 incl. VAT and transportation. Our fountains contain multiple water jets which are pulsed on and off to create a variety of shapes and patterns. As the fountain moves between one shape and another it simulates the effect that the water is dancing. At night all of our products can be illuminated with lights to dramatic effect. The fountain is fully computer controlled and can be set to perform routines at specific time intervals. We can install the fountain in an existing body of water such as a lake, pond or river, alternatively we can construct a dedicated tank. We stock a number of high-quality dry hire lighting solutions which don’t require installation or operation from our team such as our Searchlight and multibeam Space Flowers. These can be delivered by courier or collected from our Hatfield warehouse. Our dry hire lights offer visibility of up to 5 miles away depending on the brightness making them suitable for even the biggest events. Our Searchlights and Space Flowers are available with brightness ranging from 2,000 to 7,000 kilo-watts. Our brighter lights require a 32amp power source whilst lower 13amp lights can be used with standard sockets. For more complex and intricate light effects we may recommend wet hire. In this instance, all equipment will be set up and installed by our highly trained and knowledgeable team to ensure optimum performance as well as safety in operation. 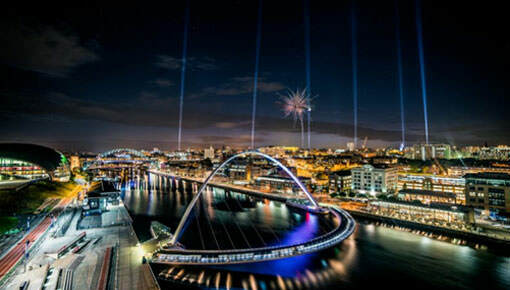 If you’re looking for inspiration and ideas on which lighting solutions will suit your needs best, get in touch with one of our experienced team members. We are always happy to talk through your project, advise on how to make the most of your event environment and find the perfect lighting effect for you.